Vivien Leigh. “Gone with the Wind,” as Scarlett O’Hara. 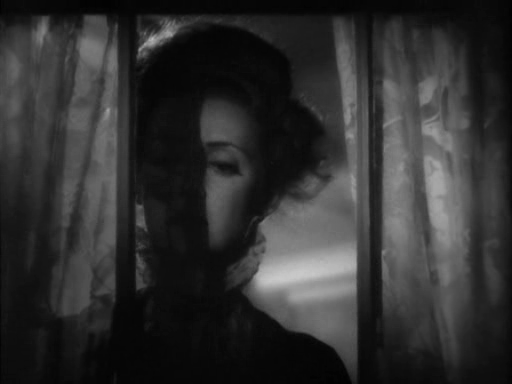 Directed by David O. Selznick & George Cukor, 1939. Oscar winner. I’m pretty sure I”m gonna be clobbered if I didn’t include her in the list. I tried not to, but I can’t help it. Watching the film means finding another great line that Leigh delivers, considering that she doesn’t have the best lines in the film (the honour would go to Melanie Wilkes). Of course, there’s watching Leigh in four hours going through different stages of Scarlett’s life, in different eras, and both actress and character fit well. She grows into an adult yet her eyes hint of childlike mischief. She’s a character, on paper, that we should love to hate, and yet we still love her. Hattie McDaniel. “Gone with the Wind,” as Mamie. Directed by David O. Selznick, 1939. Oscar winner. Writing this, I realized that Mamie’s often brings bad news. Most of the time, she’s the one to tell other characters whether a member in the family has died or is suffering. She’s also there to tell Scarlett if she’s making a mistake. She’s family whether Scarlett thinks otherwise., arguably Scarlett’s surrogate mother, feeding her and clothing her. In “Gone with the Wind, McDaniel puts some subtlety into crucial scenes not permitted to any actress of her race in any other movie at the time. McDaniel took on Mamie character with tragedy and comedy and ambiguity. Bette Davis. “The Little Foxes,” as Regina Giddens. Directed by William Wyler, 1941. Oscar nominee. Despite of the performance’s reputation, Davis doesn’t make her character that much of a monster. There’s honesty in Regina’s wish to give her only child Alexandra a better life she couldn’t have in her youth. Yet she’s an anti-Scarlett, or a more ruthless version of the Southern woman. She has the ability to attack after being vulnerable and cheated, has to do certain unspeakable things for her ambition and survival, crushes her family like enemies and in minutes she treat them like friends. All of that done with great finesse. Moira Shearer. ‘The Red Shoes,” as Victoria Page. Directed by Michael Powell, 1948. I apologize for the forthcoming use of adjectives and nouns, but who else can show youth and exuberance and pathos. She has this childlike quality, and her ambition for a dance career has thrust her into this adult world where people, sepcifically her boss (Anton Walbrook) and husband, would be pulling and tugging for her. I make it sound like a coming of age story, but Shearer’s performance shows the difference sides youth and the decay of that youth. She goes from rosy to fragile. That and being the quintessential pre-mod British girl holding our attention for at least fifteen minutes in that dance sequence. Isuzu Yamada. 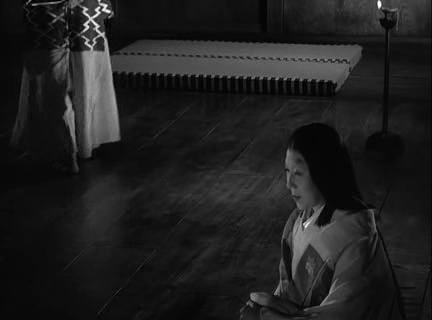 “Throne of Blood,” as Lady Asaji Washizu. Directed by Akira Kurosawa, 1957. This is Noh and Kabuki at its best. It’s also one of the most interesting interpretations of Lady Macbeth, as well as any royal consort who has to act through her man instead of being free to do so in her own right. The audience sees her sitting down, like in meditation, symbolic of someone so ingrained her own rhetoric and dragging down her devoted husband with her. She is calm as a person who helped her husband kill a man. Yet in public she is a gracious host and tries to behave as if she’s advising her husband and not suffocating him. She shows her as guiltless because those with guilt actually live through the end – she won’t. She spends the final act being tortured on earth. More conventional interpretations of the character shows her as hollowed out, yet Asaji is fully fleshed yet possessed. She’s a monster and not a queen. Helen Mirren. “Age of Consent,” as Cora Ryan. Directed by Michael Powell, 1969. Helen Mirren’s trademark is to show off her body, but she uses it in this movie to its fullest potential. When she’s skipping and posing on the beach or in the dirtiest places, trying to hide money from her tyrannic grandmother, she’s that kind of actress that you can tell her what to do or say and she’s game. Her Shakespearean training helps convey this class and strength, surprising for this feral child in the middle of nowhere, yet still make us believe that she’s innocent. No wonder James Mason’s character Bradley was attracted to her and wanted her as a muse. Like and unlike a Galatea-like character she professes her love for her man and she’s so certain of it that Bradley nor the audience can doubt it. Her accent work’s good too. Mirren’s later performances will be that on an ice queen, and we’ll probably never get something as invigorating as this performance from her again. Faye Dunaway. “Network,” as Diana Christensen. Directed by Sidney Lumet, 1976. Oscar winner. She knows how to walk into a room. To talk Max Schumacher’s (Billy Holden) ear off and let him just stand there and take it. Being a seductress yet frigid is a hard thing to pull off, and Dunaway does it. Her performance, especially the ending, makes its audience wonder whether she’s a victim or survivor. Max condemns her, that she’s probably gonna jump off from her corner office in a year or two. Yet she placidly and without hesitation plans for an assassination without Max’s words clouding her brain. Also, here and in any other movie, Dunaway is a master of modern American elocution. She doesn’t veer off in a fake British accent like most of her predecessors not does she talk like an accordion like most American actresses. She commands the other person so quickly yet doesn’t get them and the audience lost. Helena Bonham Carter. “A Room with a View, ” as Lucy Honeychurch. Directed by James Ivory, 1985. Bonham Carter’s work in this movie can arguably be that on an ingenue’s, but you know the Chinese proverb of an apprentice’s limitless possibilities. As Lucy, she goes on vacation in Italy to learn about art and culture and watch Italians fight, but her stature while absorbing this information that makes her less passive than any other character in that film. She speaks a certain way depending on her situation. She could be ghostly and trapped, childlike in her complaints, or assert to others that her conventional life makes her happy. There’s also that moment when she answers a crucial question and breaks down and becomes free, and is so matter of fact about that answer. Bonham Carter’s recent reputation as Tim Burton’s wife and muse also makes this early performance a discovery of how soft and subtle she could be. Cate Blanchett. “The Talented Mr. Ripley,” as Meredith Logue. Directed by Anthony Minghella, 1999. She’s a star even in her many supporting roles like this one. Watch Blanchett’s performance create a back story in a few seconds by a look, by simply flipping her hair and being swept by her surroundings. Meredith is one of the Americans in Venice, yet refreshingly not as jaded as her peers. She doesn’t just use her appearance to shape her role. That insufferable inflection as she calls Tom Ripley ‘Dickie’ is one of the most memorable parts of the film. Fact: Gwyneth Paltrow arguable stole Blanchett’s Oscar, and in return this movie gets Blanchett to steal Paltrow’s boyfriend. Viola Davis. “Doubt,” as Mrs. Miller. Directed by John Patrick Shanley, 2008. This wonderfully paced supporting work reveals so much about the shocking words coming from Mrs. Miller. 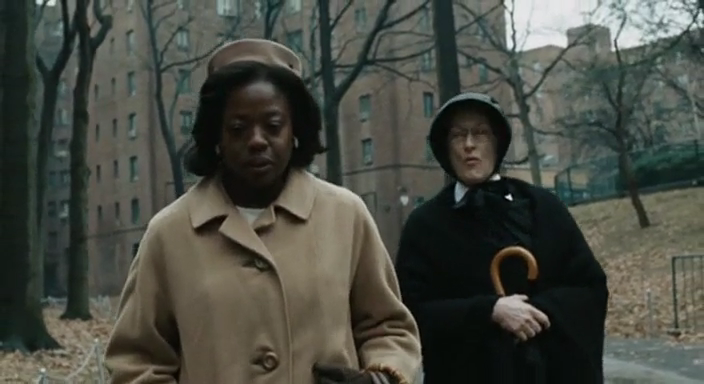 Another way of talking about this scene stealing performance is that of a pressure cooker, a women dogged by Sister Aloysius (Meryl Streep) until she explodes and tells the truth. She uses the words ‘caught’ and ‘nature’ not like innuendos but a natural part of an oppressive vocabulary. She makes herself understood. Remember that in the film version, their conversation happens in public and Davis doesn’t hush up nor careless go into histrionics. She doesn’t apologize for her presence and makes herself an equal by sharply telling Aloysius that she has to go back to her life, and to defending and loving her son without making the latter nor the audience think that she didn’t ask for him, as many fictional mothers like her do.